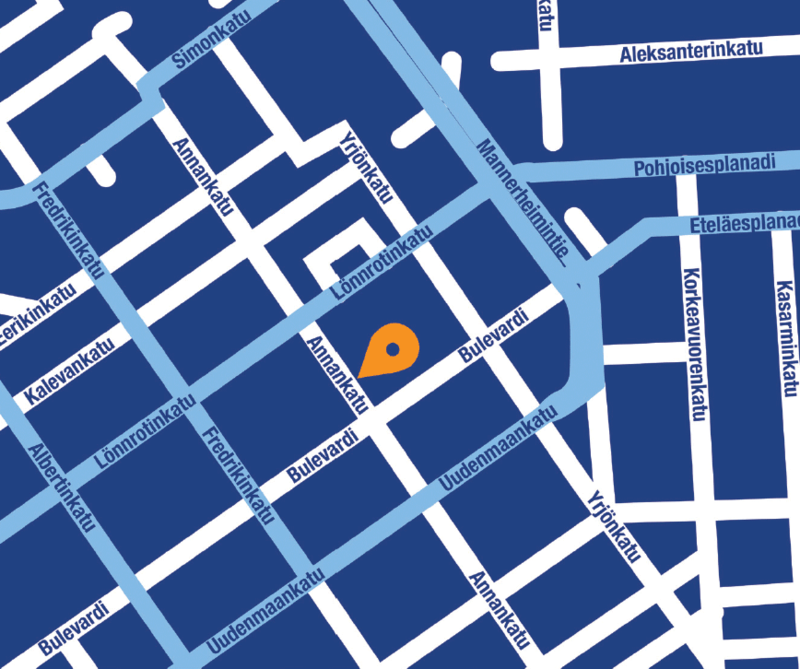 On 29 March 2017, the Finnish Museums Association and Kuvasto, a copyright society for artists, signed an agreement that allows museums to display works by Finnish artists in their own collections on the Internet without having to make separate work or artist-specific agreements. The agreement grants museums an unlimited right to publish all the copyrighted works in their collections on the museums’ website, online portals and applications. The agreement covers a huge body of works. At the moment, Finnish museums house a total of 400,000 works of art in their collections, 80% of which are in digital form. The estimated annual value of the agreement is EUR 300,000. The Finnish Museums Association will handle the fees, using funds received from the Ministry of Education and Culture, foundations and other partners, as well as contractual fees collected from museums. The aim is to cover at least two thirds of the annual amount with grants and funding from partners (see the figure). “This agreement solves a typical problem facing many European art museums: they cannot use their digitised collections to share information and experiences with the public or make the use of their collections more versatile”, says Kimmo Levä, Secretary General at Finnish Museums Association. “The old system was also problematic from the artists’ perspective. They were unable to reap the full benefits of having their work included in a museum’s collection and use it to advance their careers and gain recognition for their works,” Levä continues. The agreement between the Finnish Museums Association and Kuvasto was prepared together with the Ministry of Education and Culture, which also participated in the negotiations. 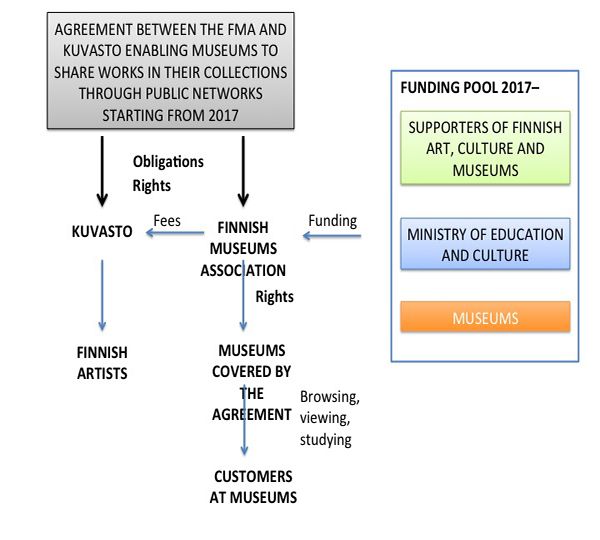 “This model between the Finnish Museums Association, Kuvasto and the funding parties is an important step towards making Finnish art more accessible. It makes Finnish art and Finnish museums the new forerunners in digitalisation in Europe,” says Sanni Grahn-Laasonen, Minister of Education and Culture.